Sometimes, when you’re looking for apartments in Phoenix, it seems like the complexes are trying to gouge you with prices that are just too high for what they’re worth. When you get that feeling, you’re probably right, follow your hunch and walk away. Here’s a list of several great apartments in Phoenix and surrounding suburbs that really deliver, for under $800 per month. With average rents in Phoenix costing $843 per month, these two apartments are a steal. You’ll find many of the best area restaurants here in the capital. Located about 17 miles east of downtown Phoenix, average apartment rent in Mesa is $858 per month. The most important reason to live in Mesa: Croshaw’s Gourmet Pies. Enough said. About 10 miles northwest of Phoenix, Glendale’s average apartment rent rates are $847 per month. The annual “Chocolate Affair,” where everything is dipped in chocolate and eaten makes the cost of rent here worth every penny. 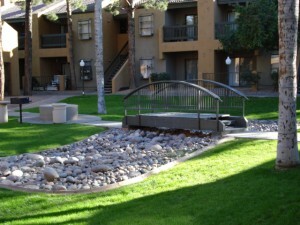 Just 13 miles east of downtown Phoenix, Tempe average apartment rent prices are $888 per month. Tempe is the crossroads to the eastern part of the metro area. At 25 miles southeast of Phoenix, this city is the farthest from the capital on our list. Average apartment rent in Chandler is $1,049 per month. Chandler has a ton of activities for children. These are some of the best apartments in Phoenix (and the surrounding area) that you can get for under $800. While they aren’t penthouse suites in a giant high-rise, they’re well-maintained, affordable, and managed by professional management companies. You owe it to yourself to consider them.